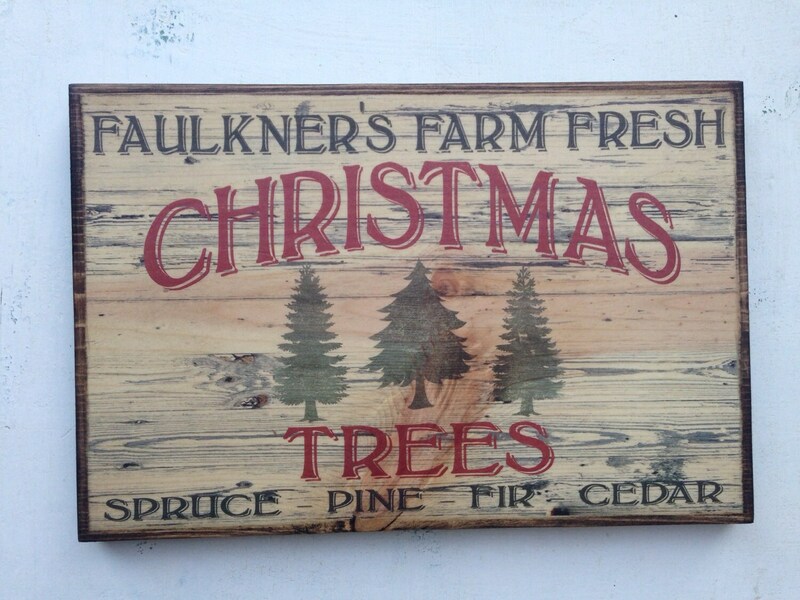 This customized "FARM FRESH CHRISTMAS TREES" sign adds a vintage charm to any home or space for the holidays! 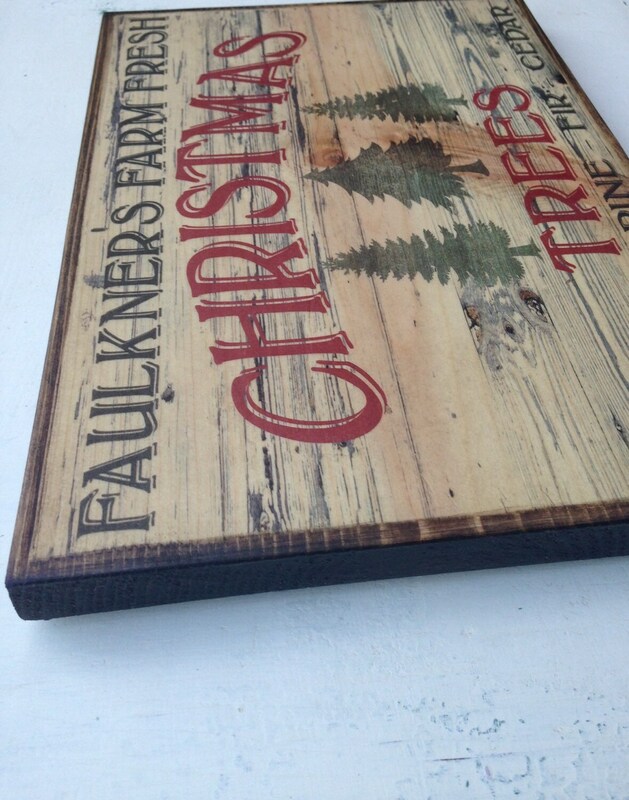 It would look cozy on a mantel or hanging from your front door to welcome your guests instead of the boring old wreath everyone already has. 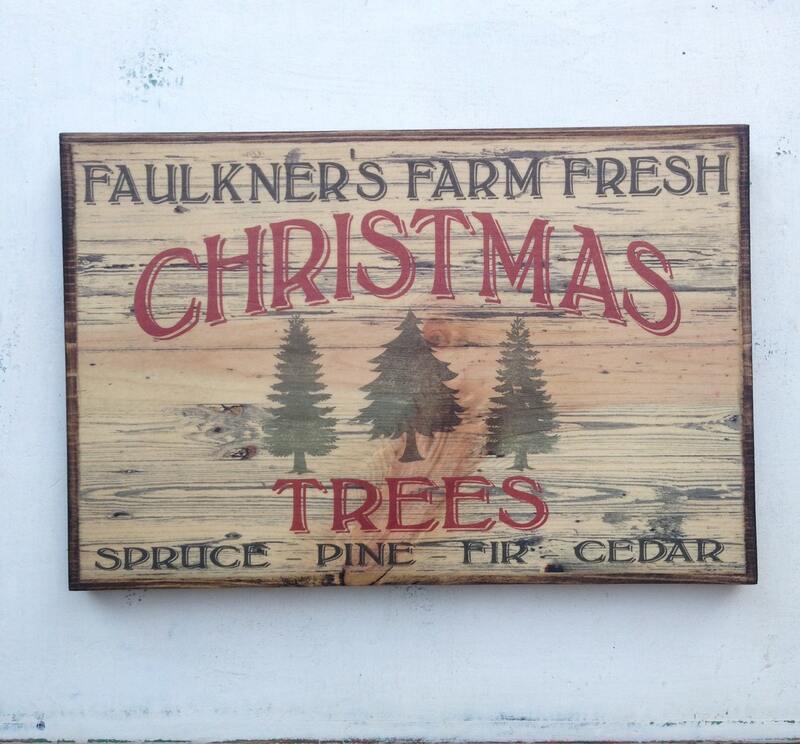 ♥ This sign is distressed and is MEANT to be, so expect some dings, nicks and wear on your sign, which adds to the vintage feel! 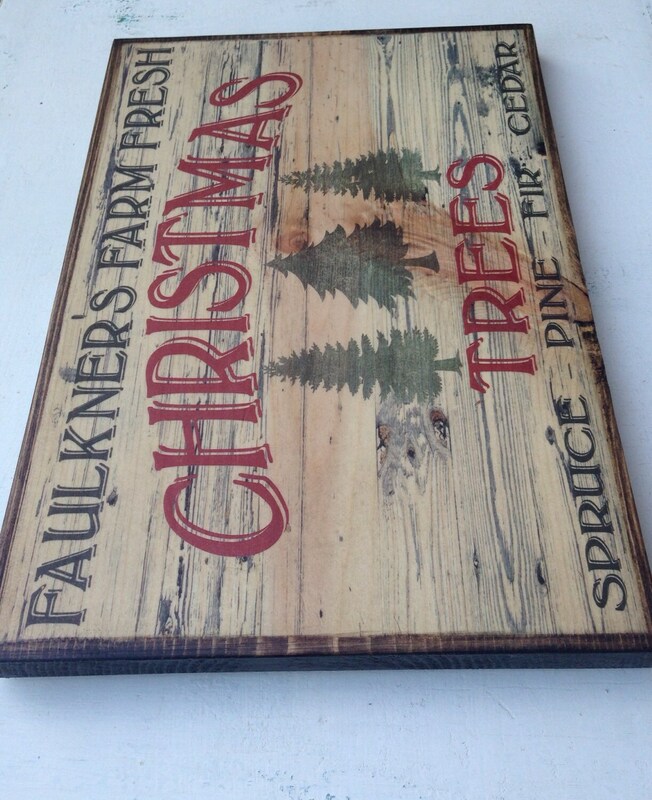 Each sign comes out a little different due to the process involved in creating these signs, so your sign will not look exactly like the one pictured, but very similar. I have very high standards, so if I don't like it, I won't send it to you until I am satisfied! PLEASE NOTE: Let me know if this item will be hanging outside or from your front door. 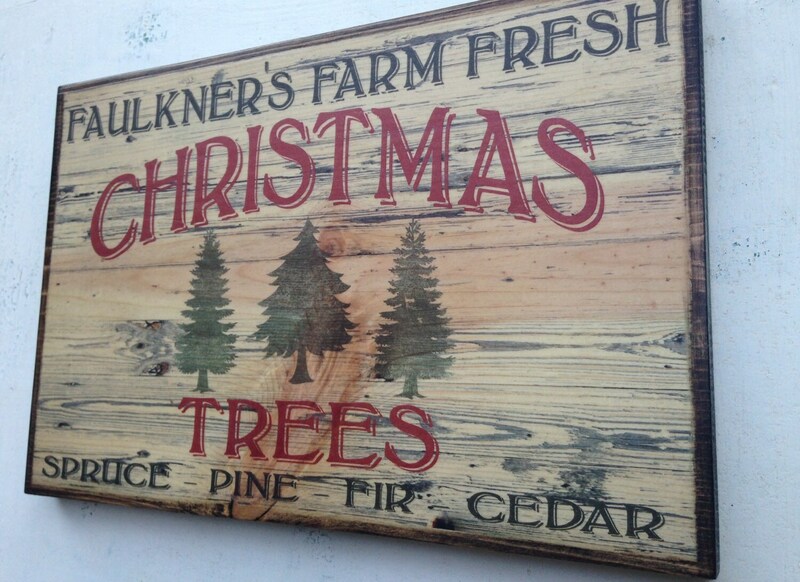 If so, I will apply a different sealant to your sign instead of wax (once waxed I buff your sign to add a slight sheen). ♥ Like what you see?! Favorite my shop and stay up to date on my latest pieces!